On a periodic basis, a car’s heater core has to be flushed in order to rid it of the debris and dirt that builds up within it over months of daily use. Avoid doing this, and you could encounter problems with your heater core over time. As this isn’t a job which requires a high level of mechanical knowledge, most car owners should be able to perform it themselves. If done properly, it shouldn’t take more than an hour to complete. A mechanic uses a spanner to work on a car engine. What tools and equipment do I need to flush my heater core? Use these to help you loosen the hose clamps. Catch the old coolant and detritus flushed out of the heater core with this. Ideal to help flush the heater core. This will direct the flow of water exiting the heater core during the flushing process. Why do I need to flush my heater core? After you have gained access to the heater core by removing the dashboard, remove the clamp on the “in” hose using the pliers and screwdriver. Different car models will vary in terms of the process here – you should consult your vehicle’s handbook if you’re not sure. Do the same for the “out” hose. Attach the garden hose to the “in” side and position the collector pan under the “out” side to catch the used coolant that will leak out. You may wish to attach a second length of hose to the “out” side in order to better direct the coolant into the pan. Run the water through the core until it runs clear. The length of time taken here will vary depending on the amount of build-up in the core. Switch the hose to the “out” side and run the water through in the opposite direction to ensure that everything has been caught and flushed out. Once you are satisfied that the heater core has been thoroughly and completely flushed out, reattach the “in” and “out” hoses by re-clamping them in position. Turn on the engine to start reintroducing coolant to the core. It should naturally begin to circulate again. If you experience leaking within the cabin or the heating doesn’t work, this may mean that something’s gone wrong and a mechanic may need to be consulted. 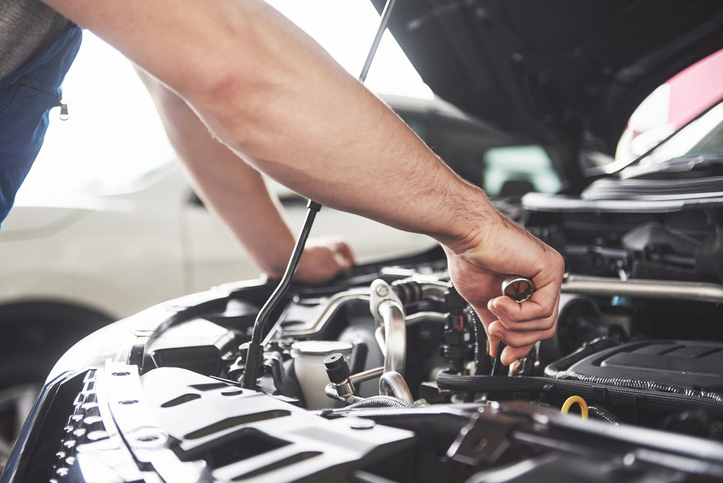 You may then wish to top up coolant levels to replace any that was lost during the process. As far as mechanical know-how is concerned, the only difficulty you might have will be detaching and attaching the hoses with the clamps. The rest of the task, however, will be straightforward and easily achievable for everyone from novices to experts – while you can ask a garage to do it for you, it’s much cheaper to do it yourself. Is your car heater core not working? K-Seal provides expert advice and solutions to common car heater core problems.